The No. 1 cause of blockages and clogs within sewer lines isn’t grease, or even excessive solid debris being sent down the drain — believe it or not, it’s actually tree roots! Tree roots naturally seek out moisture beneath the ground for survival — and your home’s sewer lines are home to plenty of moisture. If there is even the smallest crack or fissure in your sewer lines, small, tendril-like roots will begin to grow into the pipe itself, eventually creating a major clog in your sewer lines. In some cases, you can ask a professional sewer line repair company to mechanically cut away the tree roots in your pipes. During this procedure, a mechanical auger — a tool equipped with a number of saw-like teeth — slices away roots and un-clogs your sewer. The only downside to this method is that the remaining part of the tree root remains on the outside of the pipe, meaning the roots will likely grow back in due time. 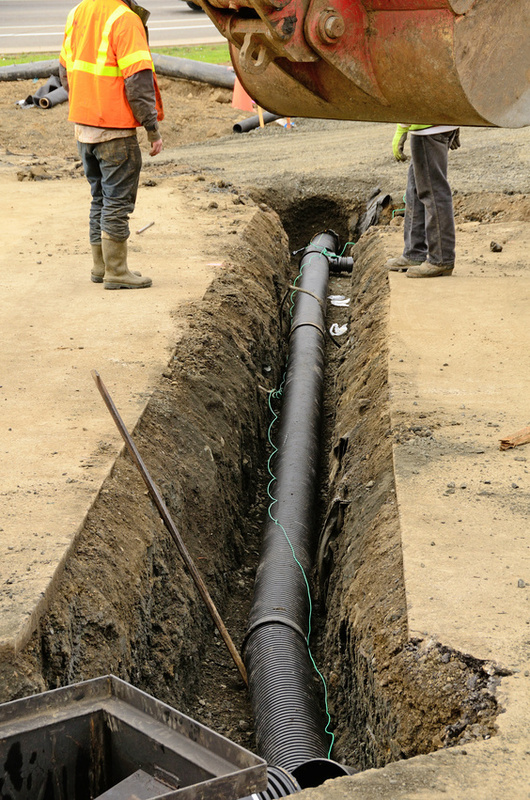 To kill off the entire root structure so it doesn’t grow back into the pipes, you can have a chemical treatment done. Copper sulfate crystals are a common option, because this chemical is poisonous to roots — however, some experts believe the copper sulfate crystals aren’t as effective because they remain at the bottom of the pipe, unable to repel roots that grow in from the top or sides. A chemical foaming agent that fills the entire pipe to kill off tree roots in sewer lines may be more effective. Lastly, you can opt to have a high-pressure blast of water sent down your sewer lines to literally blast away tree roots and any other obstructions. The machines used for this process can send blasts as powerful as 4,000 psi. After the water blast, your sewer lines will be treated with chemicals to kill off any roots that were left behind. Have any other questions for us about sewer line cleaning technologies? Feel free to ask by leaving a comment below this article.